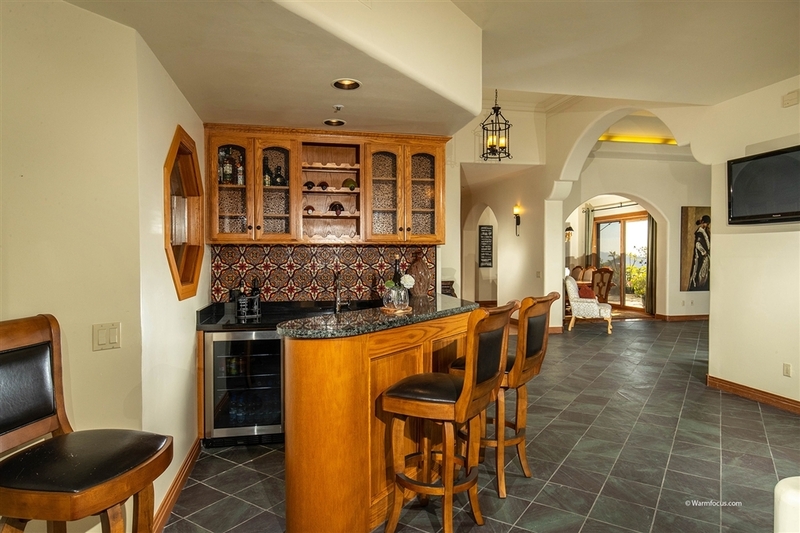 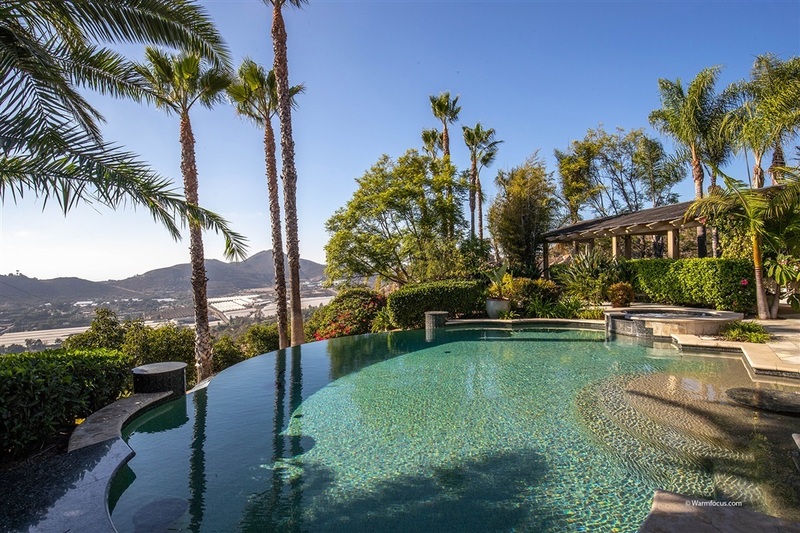 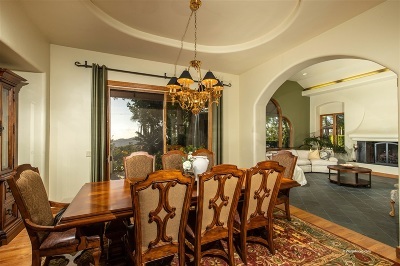 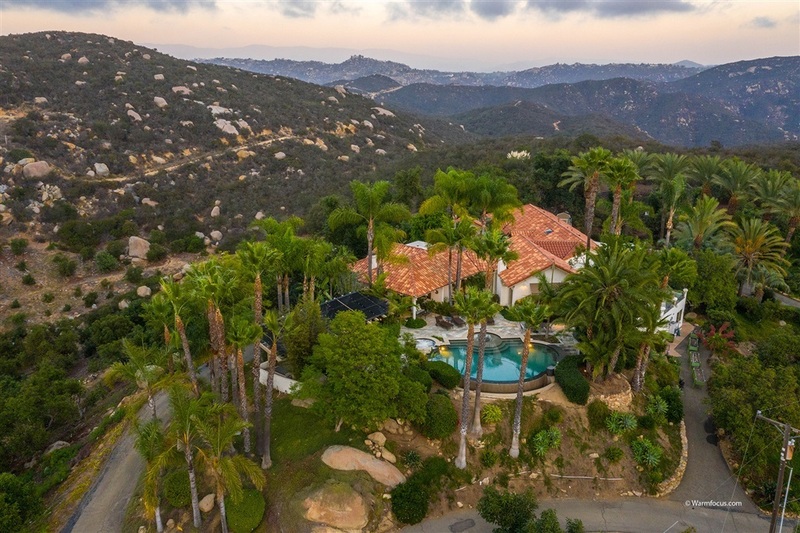 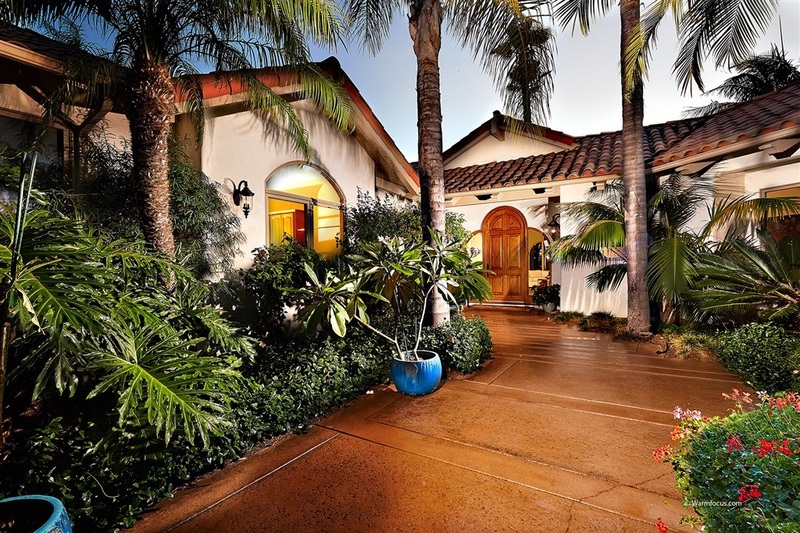 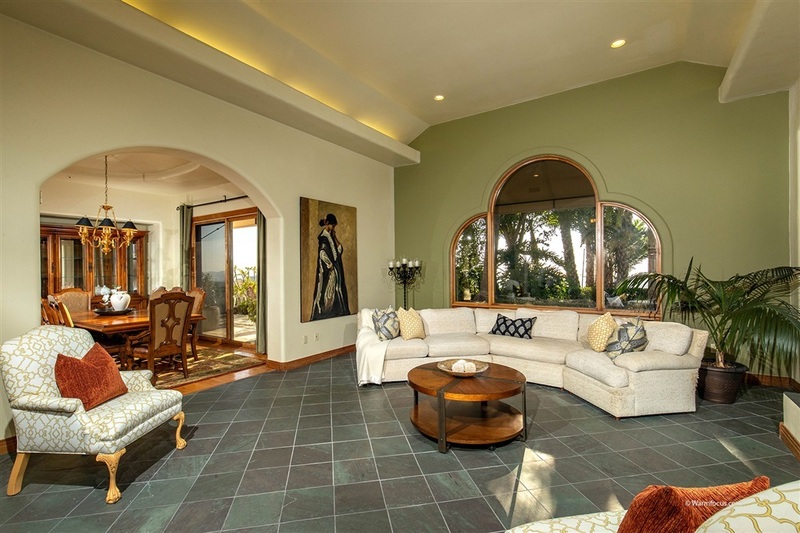 Gated estate with panoramic ocean views! 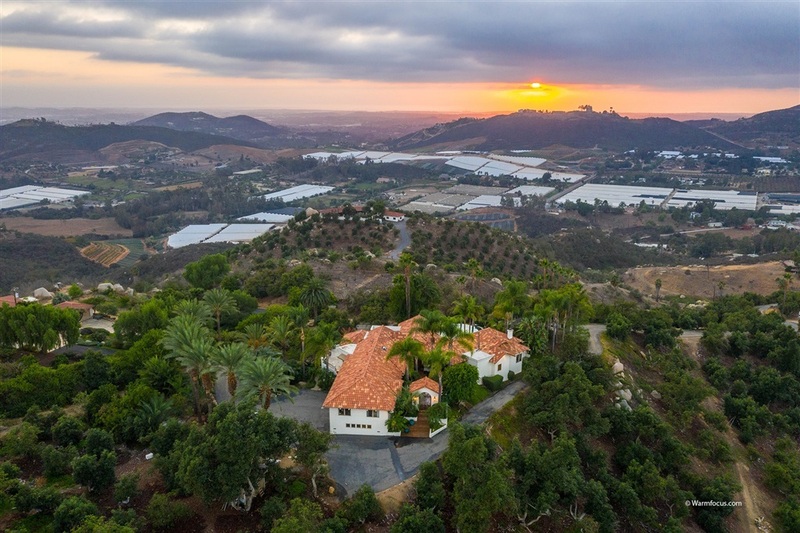 Set on 10+ acres with 800 Avocado trees. 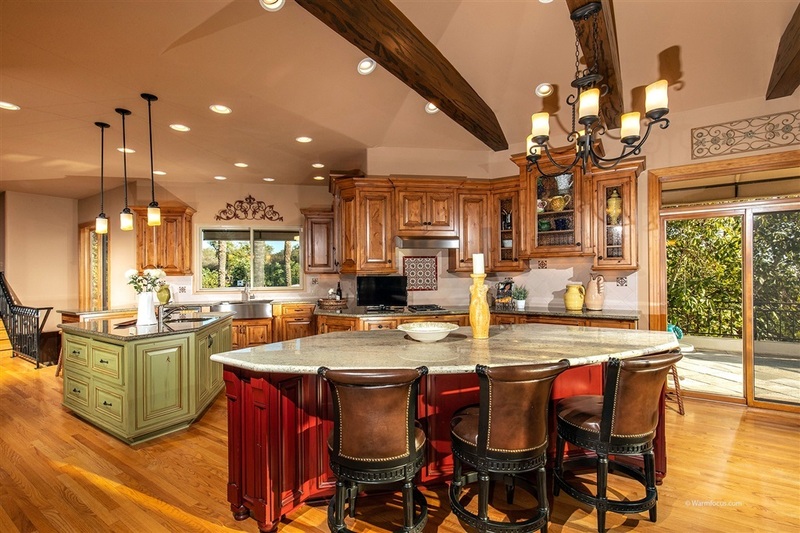 Gourmet kitchen with exposed beams, custom knotty alder cabinets, dual island and only the best in appliances! 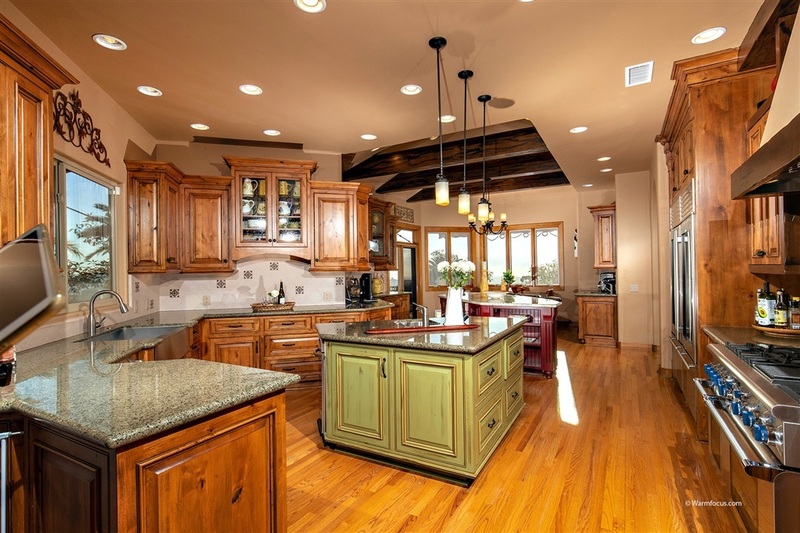 Dual Sub zeros, 48 inch Thermador range/oven/commercial hood, warming oven, prep sink, farmhouse sink, storage. 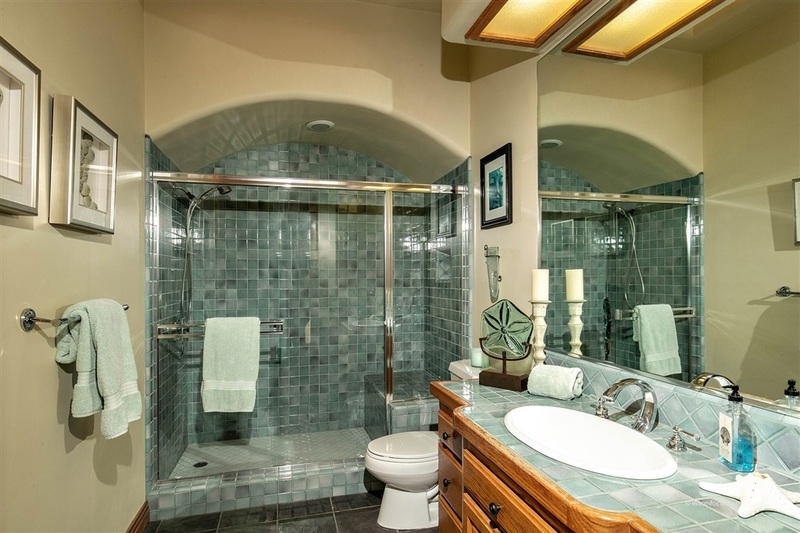 Generous ground level Master Suite with sitting area, soaking tub, oversized shower, laundry closet. 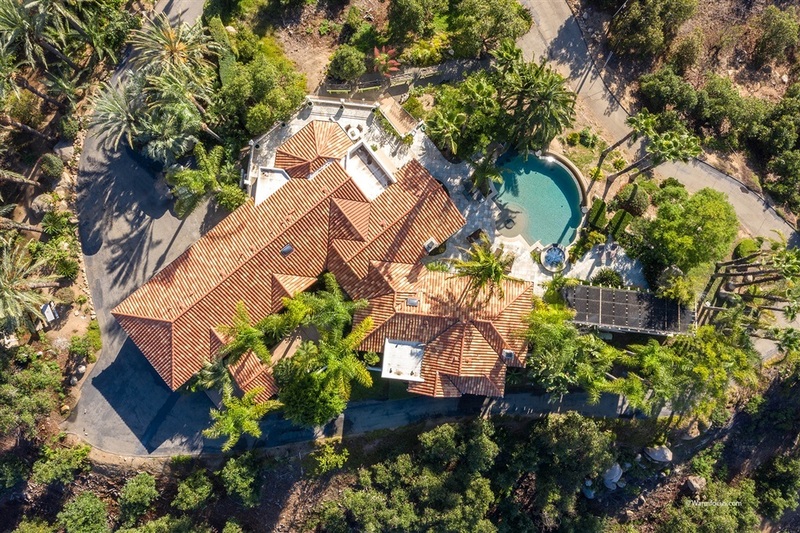 Large detached workshop for RV/Car Storage., Custom Pool and Spa built by Skip Phillips of Questar Pools with Sunken Outdoor Kitchen, Gorgeous grounds with mature palms, possible equestrian uses, 2400 sq ft Workshop under main house, plus large out building with plenty of room for multipurpose storage and plumbed for bathrooms Property has ocean views! 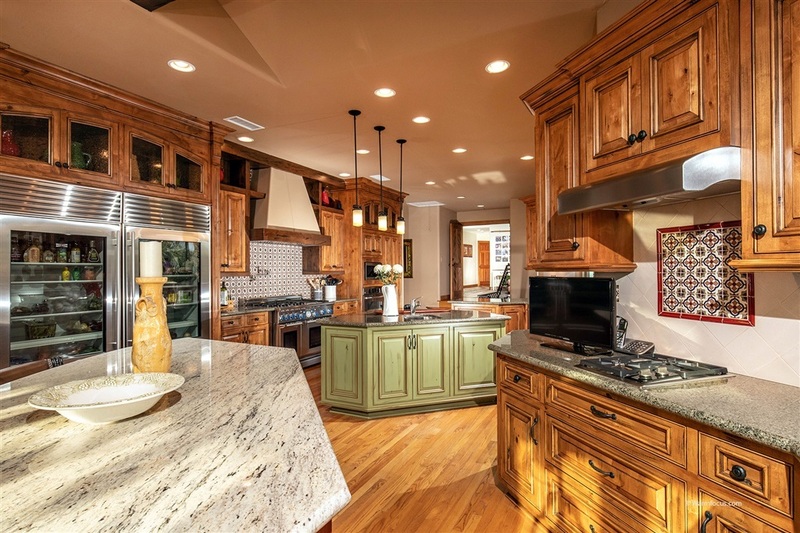 Gourmet kitchen custom maple cabinets made from knotty alder softly closed and full pull out drawers, Catalina classic tile backsplash, Two subzone refrigerator, Thermador 48-inch range, GE built in oven, Thermador and kitchen aid microwave, Deep country style kitchen sink. Two custom stained Islands (prep and service area) equipped with wolf warming drawer and service area with a warming burner. 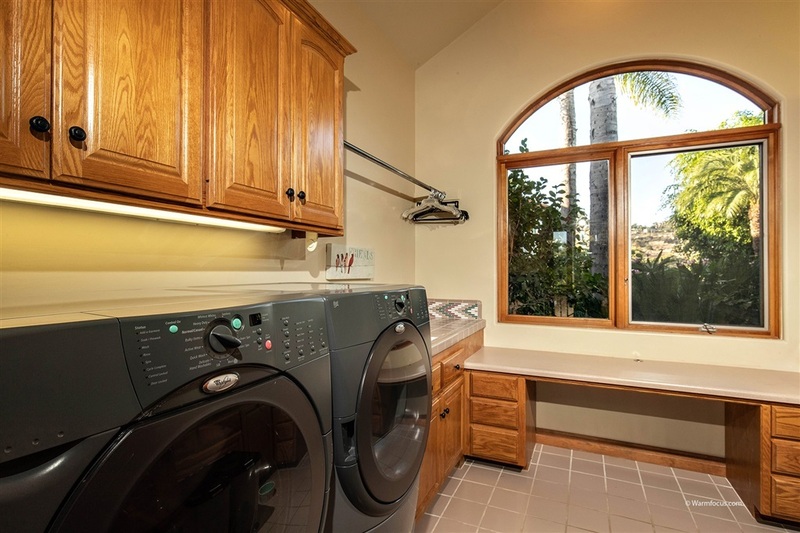 Bosch dishwasher, Coffee service area with sink, Pella wood windows through-out, Two wet bars one in the family room and another near the front door with Catalina classic tile, sink and wine chiller, En-suite on the east wing perfect for multi-generational families. 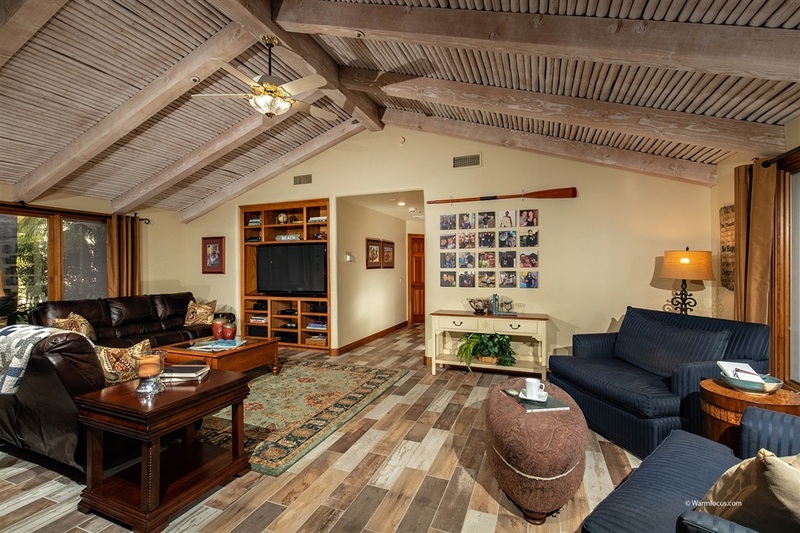 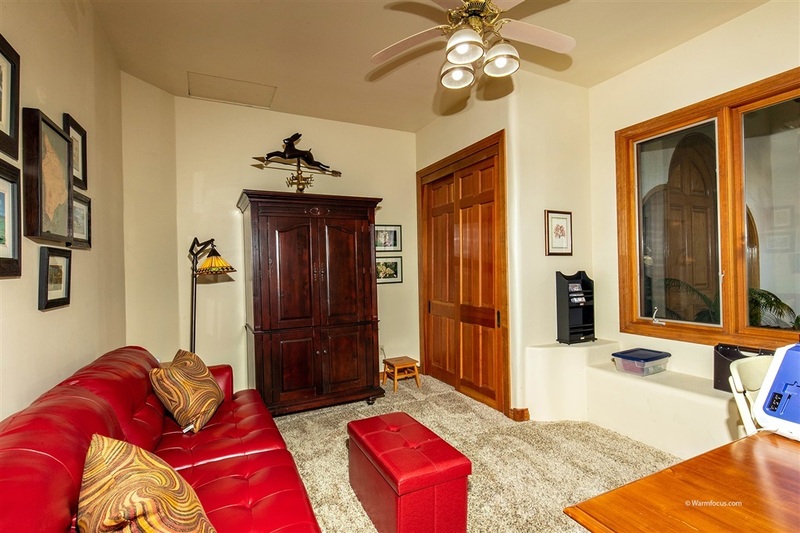 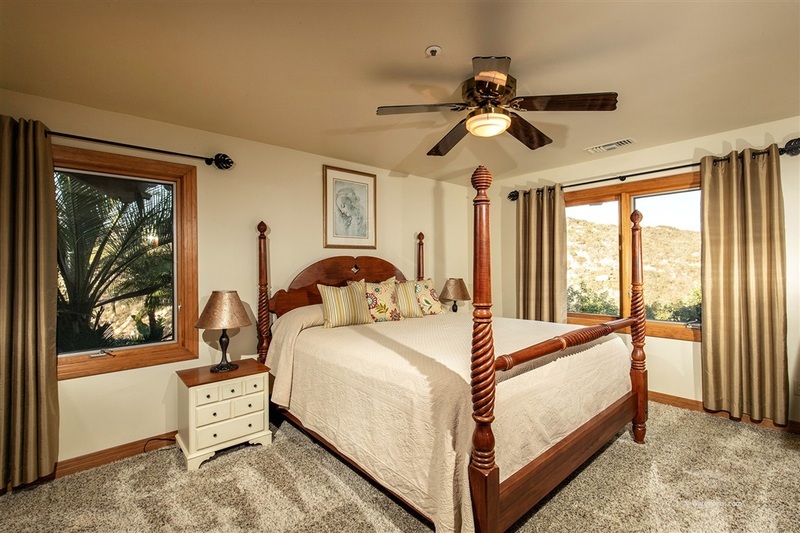 Master bedroom with fireplace, walk-in closet, and vaulted ceilings, Master bath equipped with his and her vanity, tub and separate shower stall, bidet, washer, and dryer stack-able hook up in the closet. Outdoor entertainment style yard has a vanishing edge Questar pool that is heated by thermal solar, Spa, Granite counter built-in outdoor grill, and warming burners. 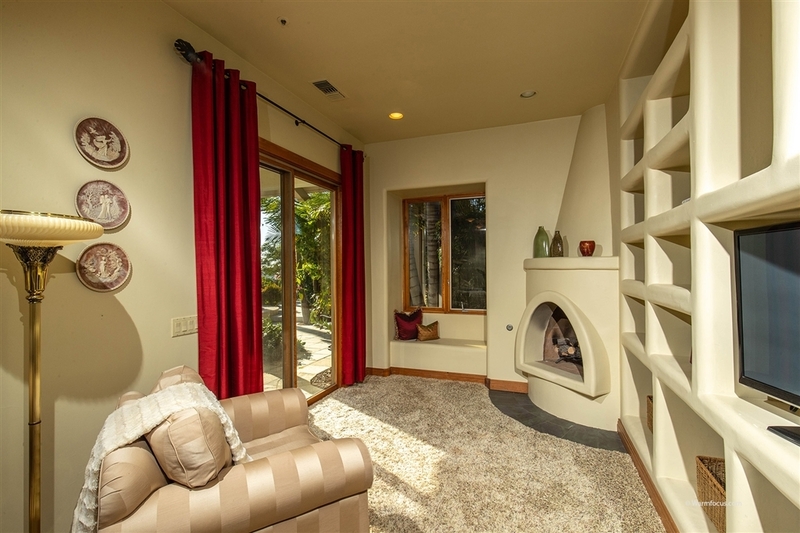 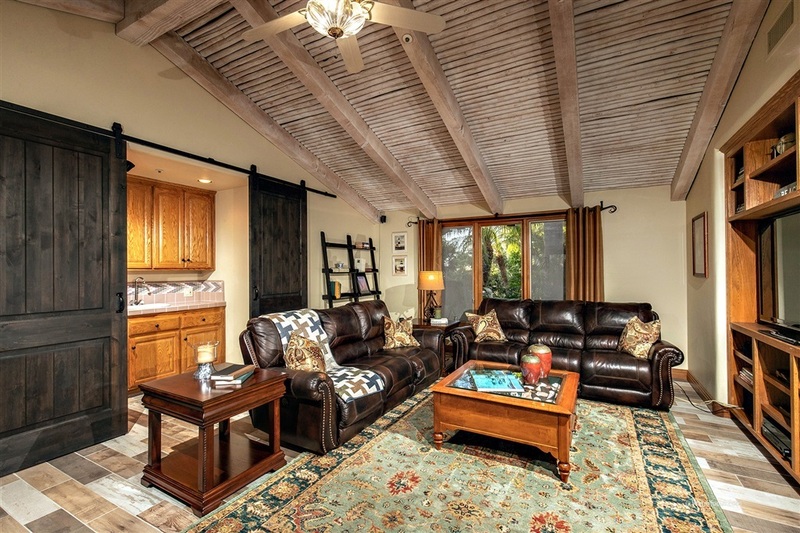 Also a Covered Patio with beautiful views of the Twin Oaks Valley wired for surround sound.